Severn House Publishers, 9780727882103, 202pp. 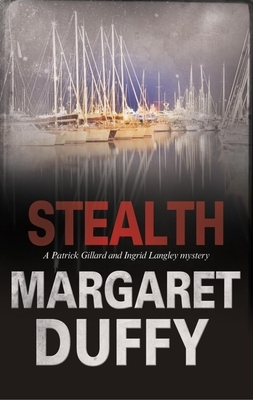 In the new Ingrid Langley and Patrick Gillard mystery, the crime-fighting couple have their sights set on an author whose horror-filled crime novels might not be entirely fictional Although Ingrid Langley works part-time for the Serious Organized Crime Agency, alongside her husband Patrick, formerly of MI5, she's also a crime author: perfect cover for investigating fellow crime author, Clement Hamlyn, who is suspected of using the international author's event Ingrid has been invited to in Cannes to meet with a wanted criminal. Ingrid is accompanied by Patrick, but as they observe the rude and aggressive Hamlyn, it soon becomes clear that someone is observing them . . .